Seeing as how my newest bike is almost 10 years old I think I really could justify adding a third bike to my collection. I want a tour capable bike and have really been thinking about a recumbent. I have been looking at everything from the cheaper Sun models to bikes from RANS, Lightining Cycles and whomever it is that makes the F40. I would like any input from bent bike riders. If you don't own one but want to opine about all of their drawbacks please just move on. I put quite a few miles a year on both my mountain and road bike commuting to work and running errands in addition to my regular rides. No offense, but I don't need any advice from anybody who isn't riding a bent bike. I've also been thinking about buying a newer mountain bike and coverting my Specialized to electric, or picking up a good used bike to make into an electric bike. Any input from people riding with electric assist is also welcomed. I considered and rejected the idea of a small gas engine, I already get over 40 mpg on the Rust Glide. Once you figure out what type you like I would check Craigslist and eBay for deals. After you ride a few bikes can you post here or send me a PM and tell me what you think? I have that site saved already. The one bike shop around here doesn't have any but I am about to move back to northern CA. There are two local bike shops and at least one of them has carried recumbents before. Thanks. I know how that goes. I am stationed in Sault Ste Marie, MI right now. Today it was a whopping 38 degrees, pretty warm considering we had snow earlier in the week. I love snow and cross country skiing, but really, it's April already! A ten year old bike is NEW! Mine is 31 years old and I intend to ride it until the frame snaps (unlikely since it's straight gauge 531). Racing bikes rule, OK? I never said my bikes were old, I just feel like I can justify a new bike after 10 years. Except for consumables like brake pads and chains the only thing I have had to replace are the wheels on my road bike. Both of them are new enough to have index shifting which is very nice. I totally want a bent. I can get around town averaging 15-18mph on my race bike, but a friend of mine can stay with traffic completely (25mph+) around town without issue. The extra force you can use makes such a difference. I test road a 3 wheel bent last summer, and while the steering was touchy, it was something I could easily adjust to. I had no problem getting to 20mph on an uphill and holding it. Lower frontal area, getting more work per stroke, what's not to like? 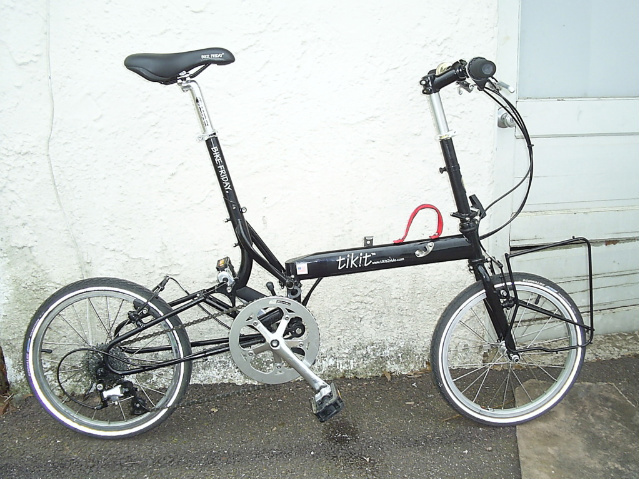 I've been riding regular bicycles since late 80's, rode my Huffy 10-speed from SF to DC, a Miyata from SEA to DC. 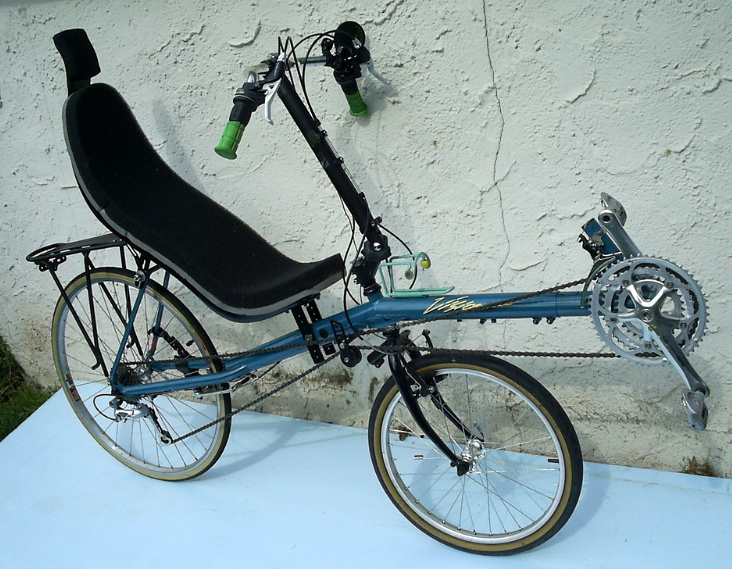 I got a recumbent back in 2006 for my GF back then (wife now). 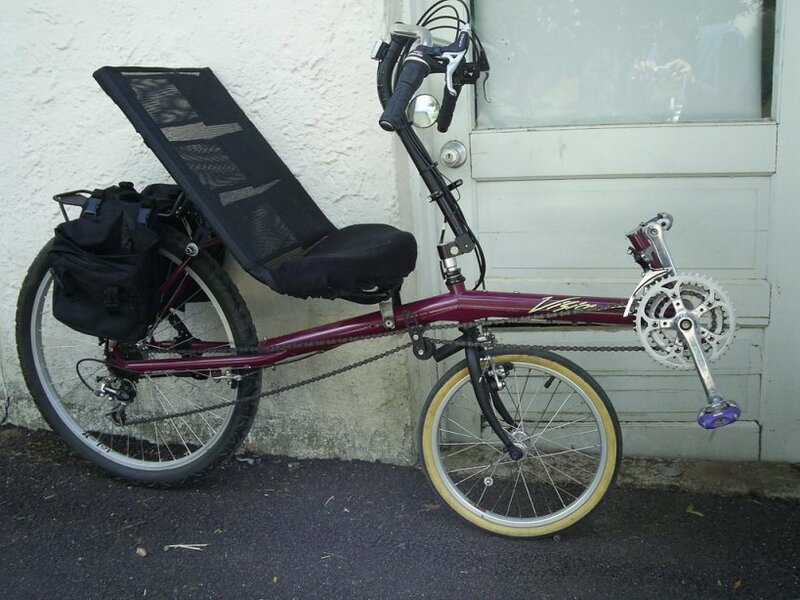 I test rode the recumbent for a few miles just to make sure it was operational and safe to ride, returned from the test ride, I was convinced that it was a better mode of transportation than my regular bike for relaxed pace of riding. My wife and I both have our own recumbents now, put at least 800 miles together since 2006, we even a have semi-recumbent tandem bike so she doesn't have to worry about maneuvering in traffic. I picked up our recumbent bikes from local Craigslist listings, at under $500 each, I worked on them myself to update the tires, cables, grips, etc.. converted them from USS (Under Seat Steering) to OSS (Over Seat Steering), so they have less width physically to negotiate between cars in traffic. SWB (Short WheelBase) recumbents are ideal for us since we have limited garage room and they are easier to transport by car when we go visit places with our bikes. The steering does take some time to get used to, but with enough practice it's no big deal, even my wife learned to master riding the SWB recumbent with clispless pedals. I tried LWB (Long WheelBase) recumebents.. they just seem so much heavier and more difficult to transport and store when they are not ridden. I've always wondered what it was like to ride one of those bent bikes. They look comfortable for long rides.